Zinfandel is sometimes called the American wine although its grape DNA reveals that it genetically equivalent to the Croatian grape Crljenak. 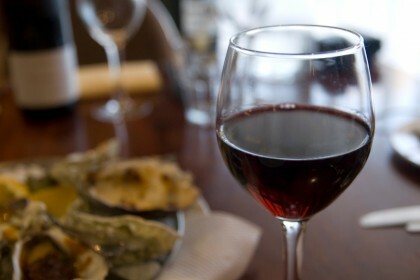 The varietal is also known as Primitivo in Italy where it was introduced in the 18th century. The grape then found its way to the United States some time in the 19th century where it was then called Zinfandel. The exact reason this name was chosen is not exactly clear. The grape is grown probably most successfully in California where it is the 3rd most planted varietal. A big reason for that high ranking is White Zinfandel which has skewed the identity of the grape. In fact many wine drinkers do not even know there is red Zinfandel although the same grape is used for both (the red skins have less contact with the white juice in the making of White Zinfandel). The White Zinfandel craze started in the 80’s and still accounts for more than five times as many sales as the red wine. Obviously White Zinfandel has its followers but for many the wine is just pink, sweet and uninteresting. Zinfandel is produced in a variety of styles that offer a wide array of aroma and flavors depending on the region it is grown and how the winemaker adds his or her finishing touches. It is a versatile grape because it can be grown in cooler and warmer climates. Zinfandel is known as the perfect cookout wine and can be high in flavor and alcohol content too depending on when the grapes are picked. The wine is generally described as fruit-forward with flavors of dark berries and cherries, chocolate, black pepper and an overall brambly spiciness. With some exceptions, tannins are relatively tame for this varietal. Cooler climate Zinfandels tend to be slightly leaner than warmer climate Zinfandels which can be jammier and have higher alcohol levels. Let’s look at some possible food pairings for lighter and medium to full-bodied red Zinfandels. As mentioned above, Zinfandel can be a true cookout wine. Light young Zinfandels can offer fresh and fruity flavors which can make them sometimes more approachable than their heavier counterparts. Think lighter foods like light cheeses. Examples would be aged gouda, brie and mozzarella. Speaking of mozzarella, this Zinfandel can be perfect for pairing with a mozzarella pizza topped off with Italian sausage or pepperoni. Tomato-based sauces like on traditional pizzas are perfect pairings because the fruitiness from the wine can counterbalance the acidity and creaminess in the sauce. Think veal lasagna, spaghetti in a spicy sauce or cioppino. Light-bodied Zinfandels are perfect for Thanksgiving as the wine can pair perfectly with the turkey as well as the basil and sage stuffing. If it is not Thanksgiving then consider a braised or roasted chicken with a light pepper sauce or a tomato-based sauce with pancetta. Although lighter-bodied Zinfandels are great with barbeque too, the bigger wines really shine with anything paired from the meat aisle. Yes BBQ pork ribs are absolutely ideal for this bold, red wine. Pretty much anything you can lather BBQ sauce on can be served with a bigger Zinfandel. Beef is versatile with the wine. A hearty beef stew combined with grilled vegetables or a spicy beef chili will work. Burgers on the grill complemented with aged cheddar or Gruyere and mushrooms paired with the wine will take your usual boring burger to a new level of excitement. Although Cabernet and Merlot can be ideal pairings for lamb, a lamb shoulder that gets braised in a jammy Zinfandel can be out of this world. Some things to consider not pairing with Zinfandel would be most seafood especially with the bigger style of this wine. Given that many Zinfandels are high in alcohol, fiery hot food could be trouble as well as extremely delicate foods. Zinfandel can be great, but just remember that they can pack a punch both flavor and alcohol-wise.